I love my Stuart Weitzman 50/50 black over the knee flat boots I purchased last fall/winter. They were by far my best purchase of the season. 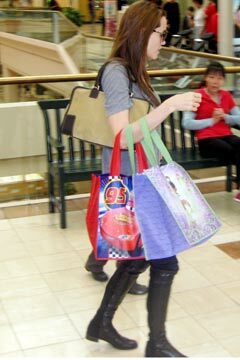 I wore them with skinny pants and slim fitting trousers, leggings, skirts and dresses. Now I am on the search for tall brown boots and I really like these ones. 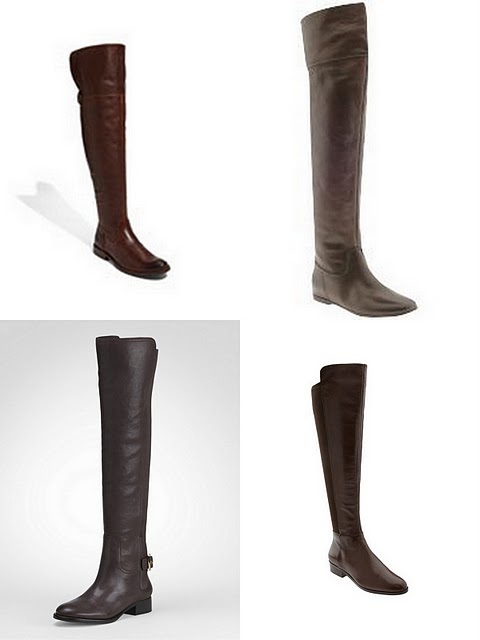 Over the knee boots can be intimidating but done right they create a stylish and chic look. 1. If you wear these boots with short skirts the best length is 1-3 inches above the top of the boots. 2. For skirts and dresses, match up your leggings or tights to the boot to create an elongated look with out breaking up the colors. Unless you are trying to copy Julia Roberts in Pretty women, avoid tight skirts and bright colored leggings. 3. Ok but if you do wear your boots with a tight skirt then go for a tailored look. Add a well cut shirt, a mid thigh length tailored coat, and an oversized bag. 5. Beware they do not look good with loose fitting pants, flared pants, boot cut, and boyfriend jeans. They do look amazing with skinny jeans. 6. Taller women can get away with these but if you are shorter and have the confidence you can still wear them. And the tall flat boots will be more flattering and classy than the stiletto over the knee boots. 7. And stiletto vs. flat? I think flat is better and more practical. Definitely not as edgy and provocative as the stiletto but you get more of an equestrian and casual look. 8. It is best to avoid shiny materials, patent, and too many details like lace and studs. What do you think about wearing over the knee boots? What outfits do you wear them with?